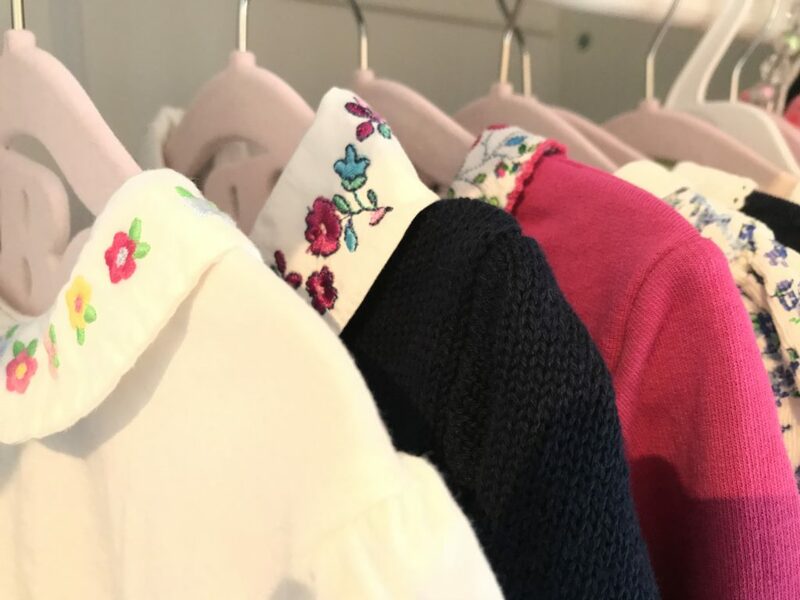 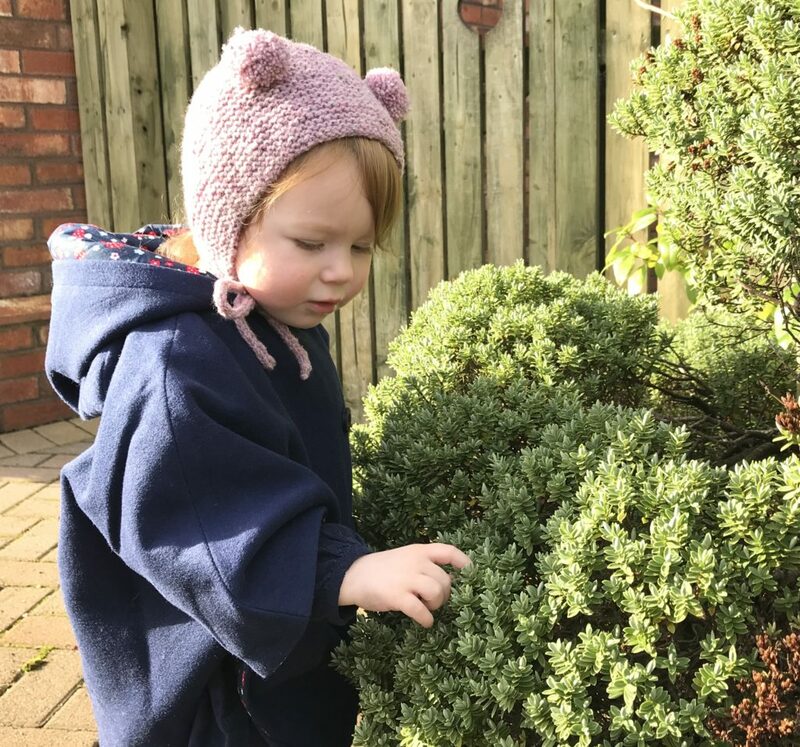 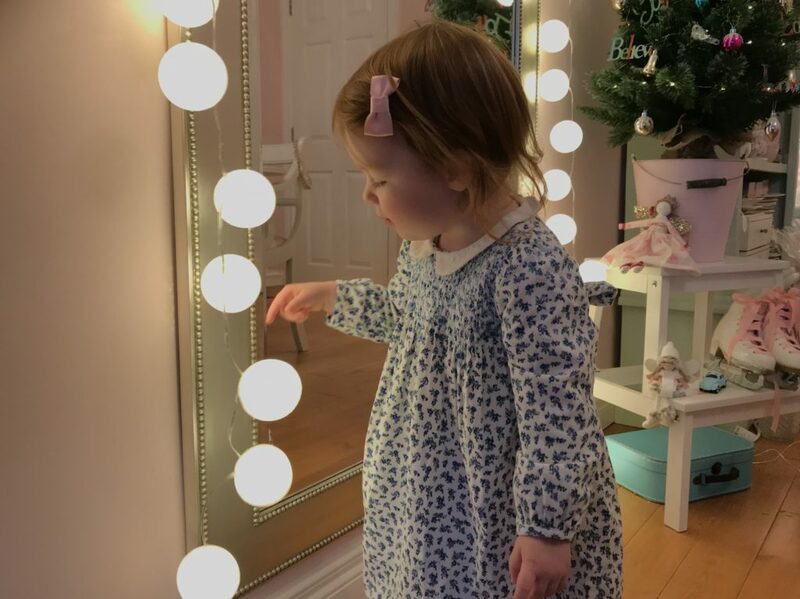 Jojo Maman Bebe has grown to be the leading boutique mother and baby brand in the UK and with all their beautiful baby and childrens clothes it’s easy to see why! 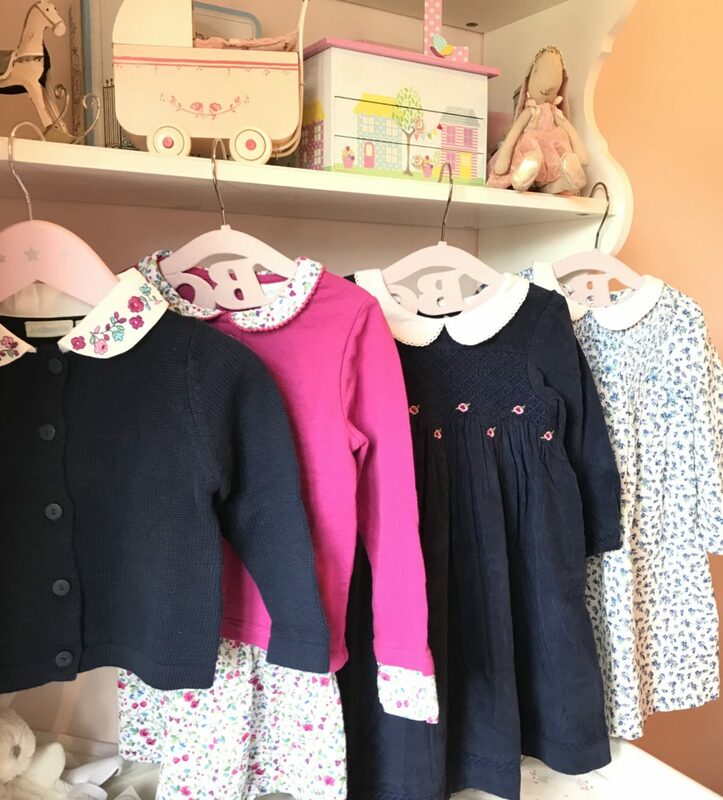 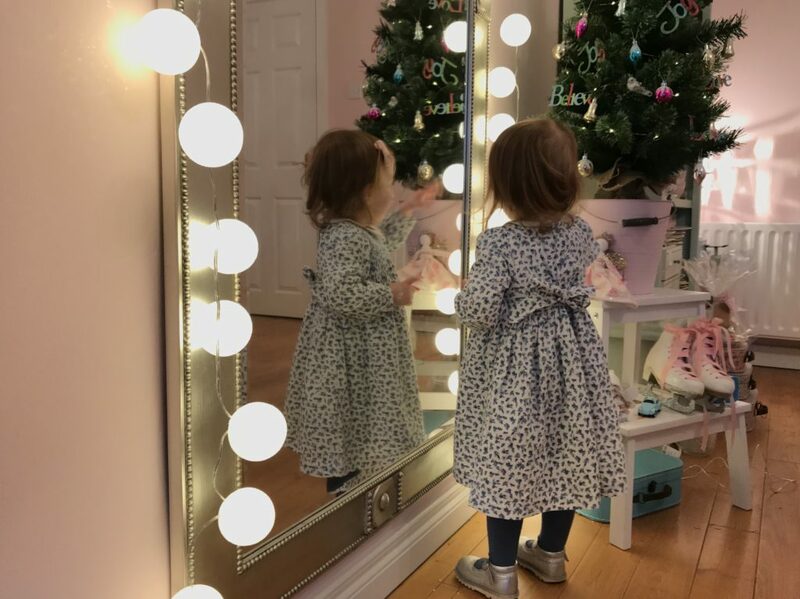 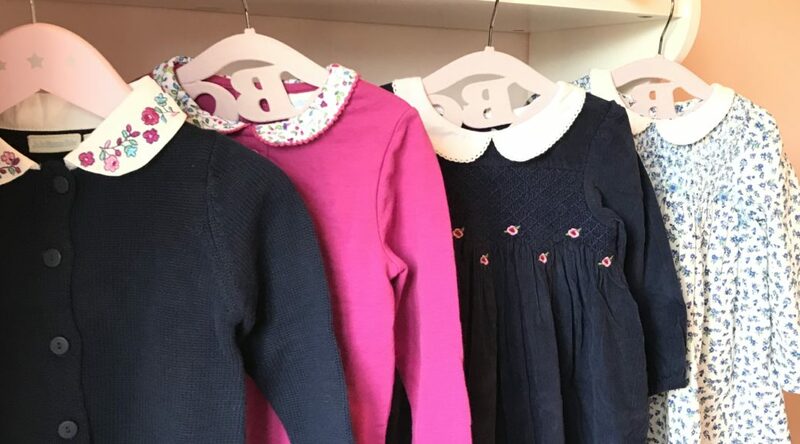 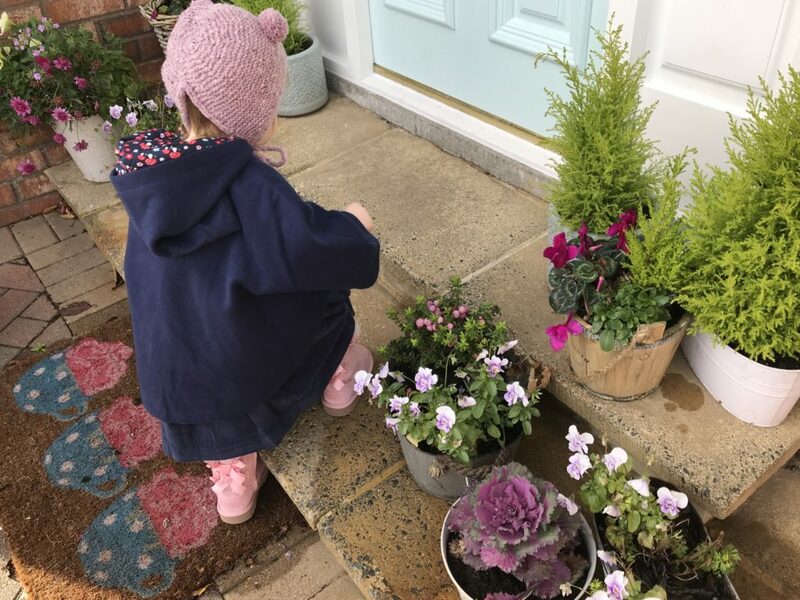 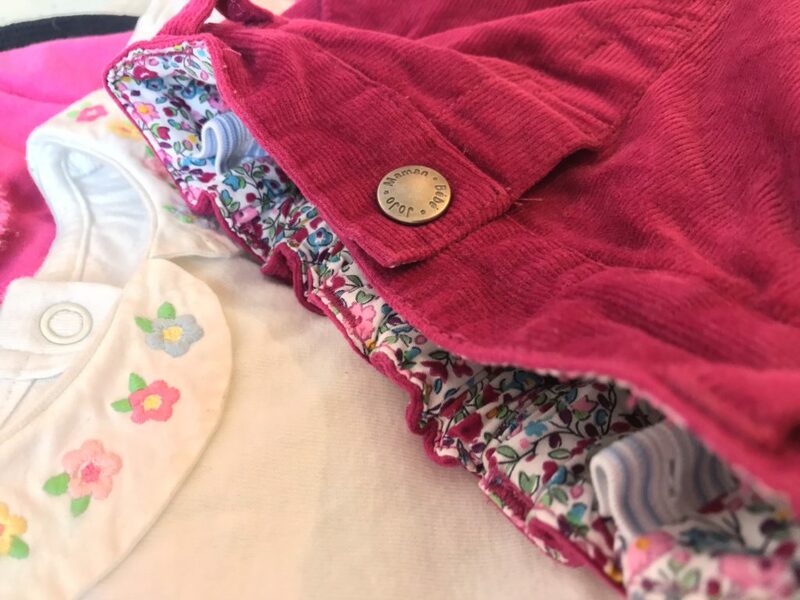 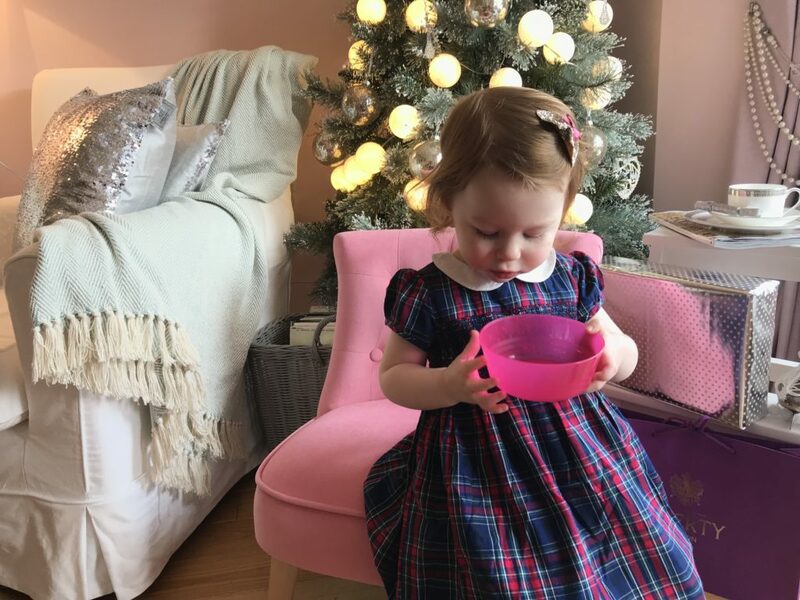 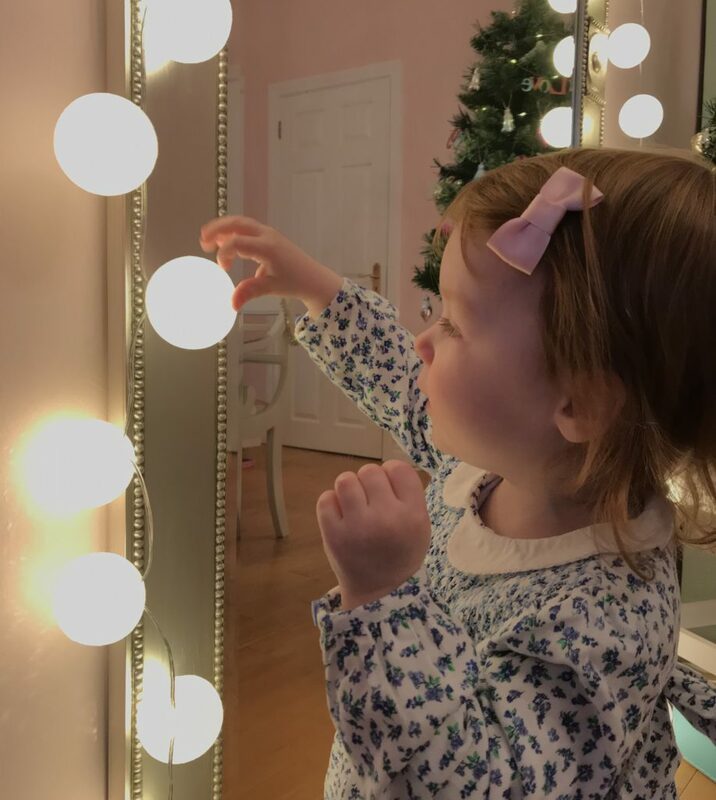 Lydia always has a number of Jojo items in her wardrobe and I particularly love their smocked dresses so when she was sent out some beautiful clothes for her winter/Christmas wardrobe I was beyond delighted! 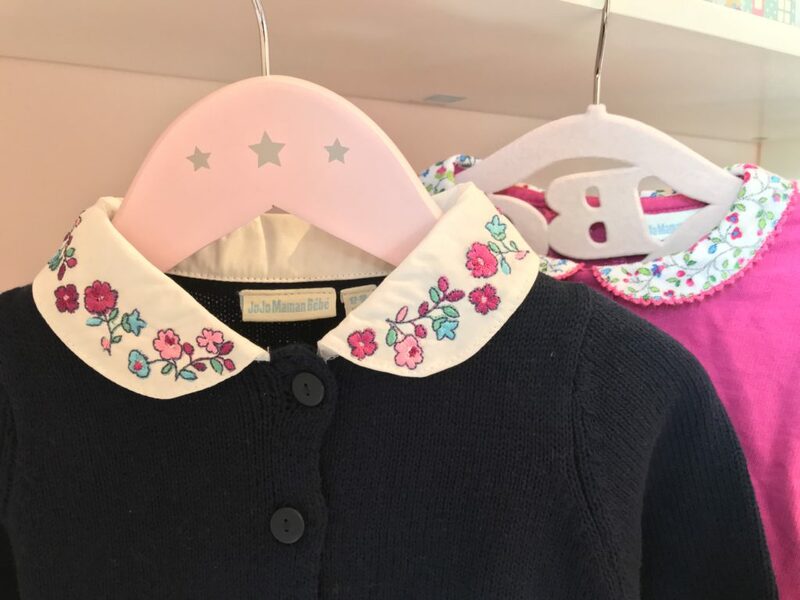 I do love a pretty collar and this little navy cardi with its embroidered collar is perfect for over a dress or wearing with a pair of cords. 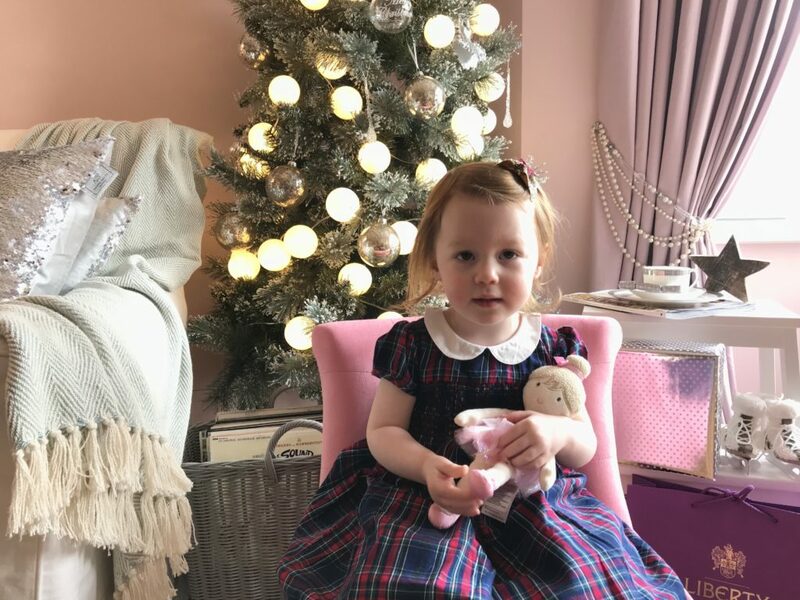 Jojo do THE prettiest dresses and I managed to persuade Miss Lydia to model a few of them! 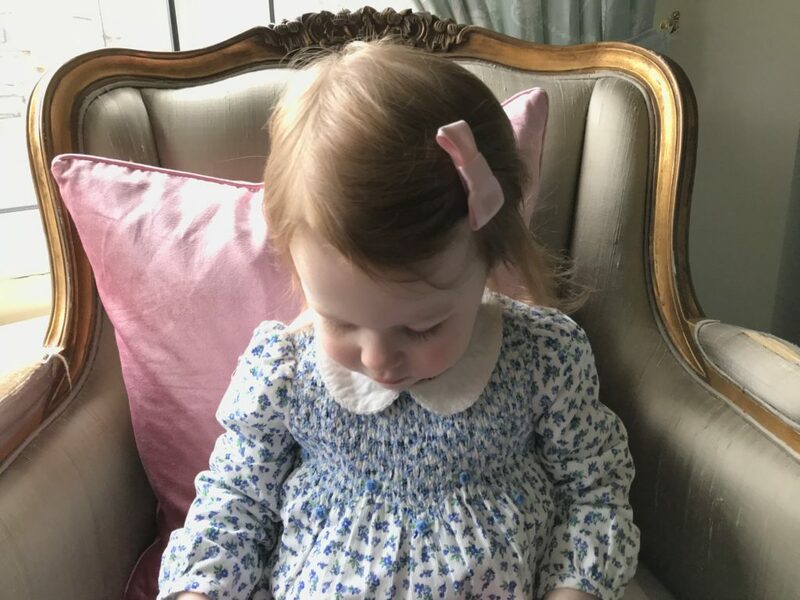 This ditsy print smocked dress is adorable with its white collar and little blue rosebud detail on the smocking and it ties beautifully into a bow at the back. 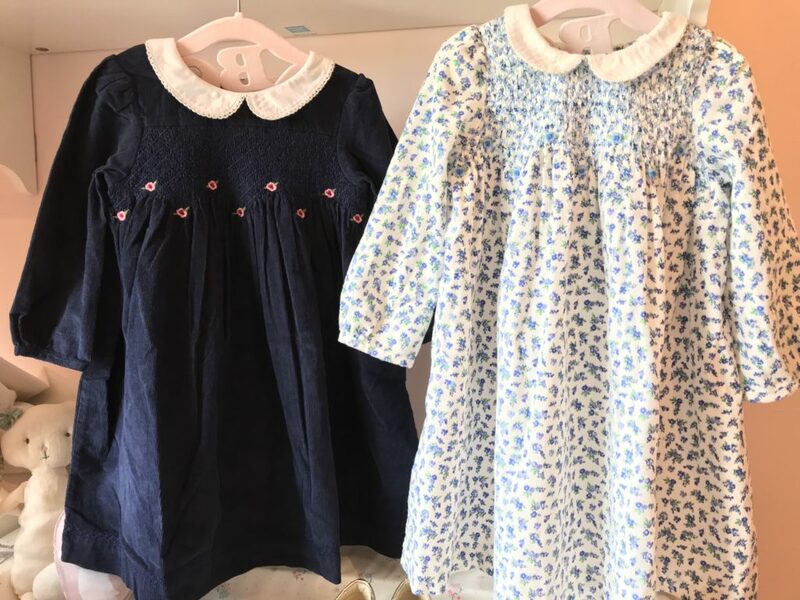 Navy is one of my favourite colours for little girls dresses and this navy smocked cord party dress is a real classic with little pink rosebuds on the smocking. 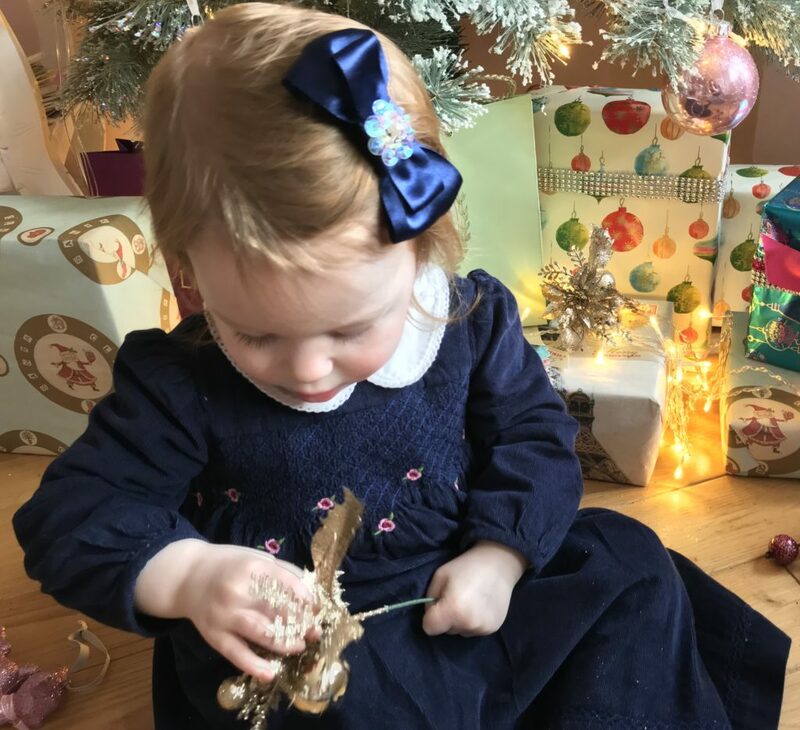 It looks beautiful with navy tights and I made a navy hair bow for Lydia to wear with it. 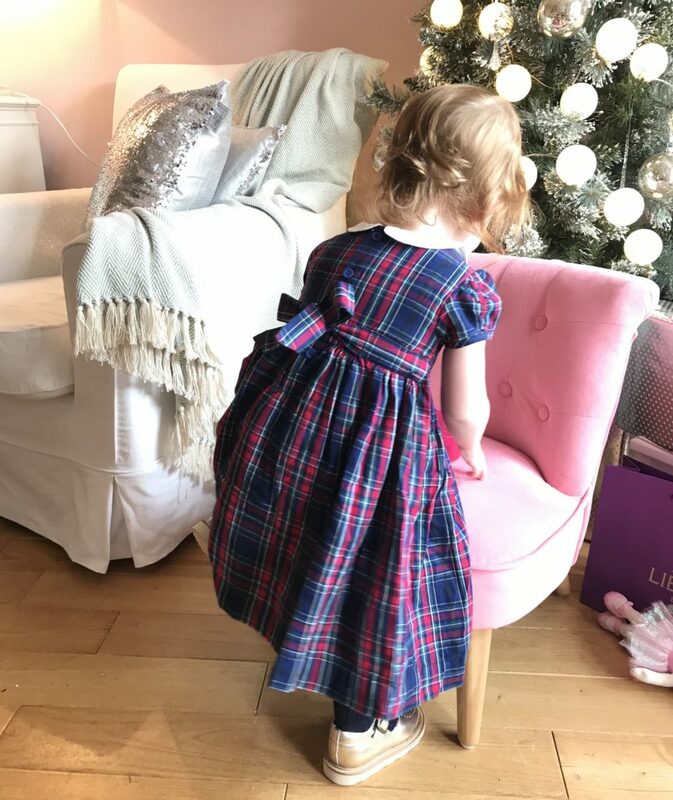 The tartan smocked party dress is perfect for this time of year for parties and dinners out and it sits beautifully with its little tulle underskirt. 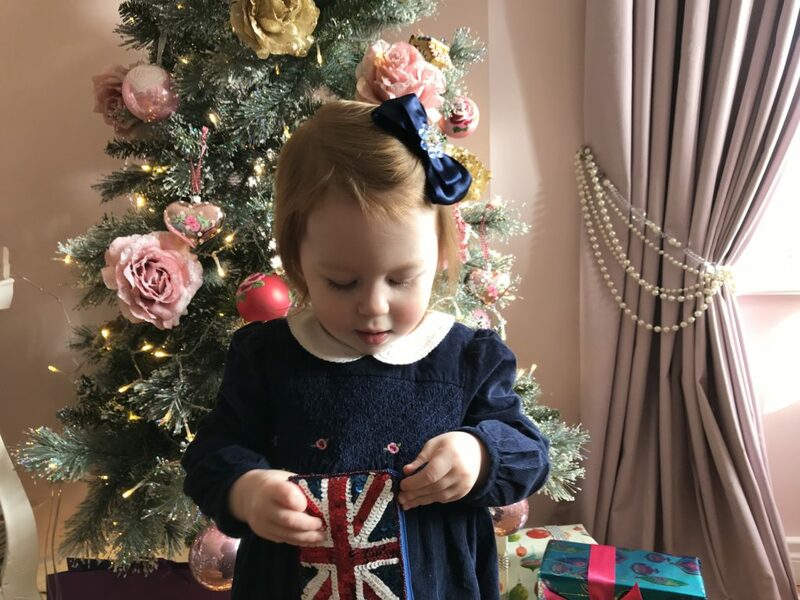 It would make a lovely Christmas Day outfit for any little princess. 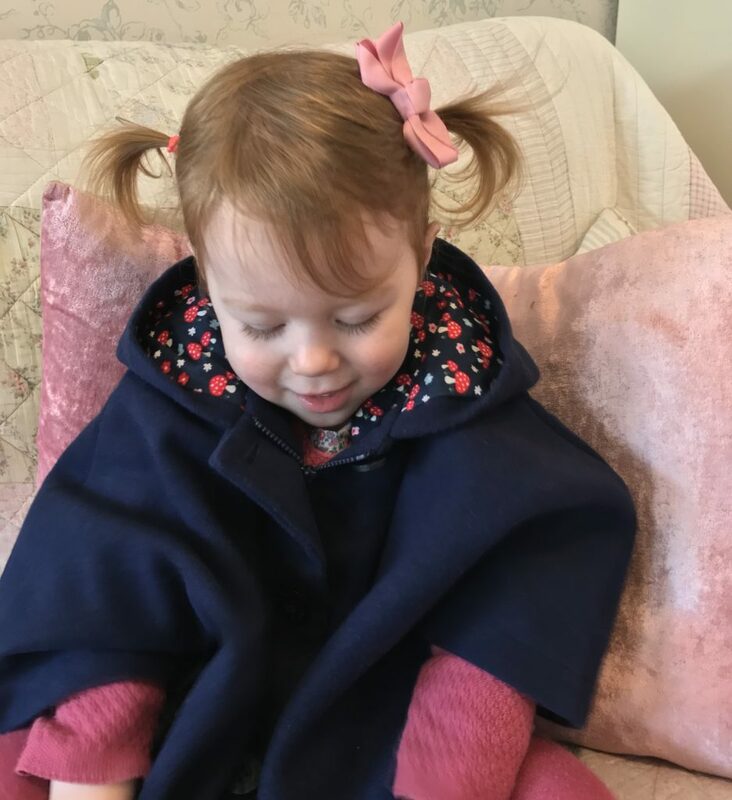 And for wearing over all these beautiful clothes is the gorgeous & very stylish navy cosy cape which has the most adorable lining and Lydia loves it so much and flaps her arms like a little bird when she wears it! 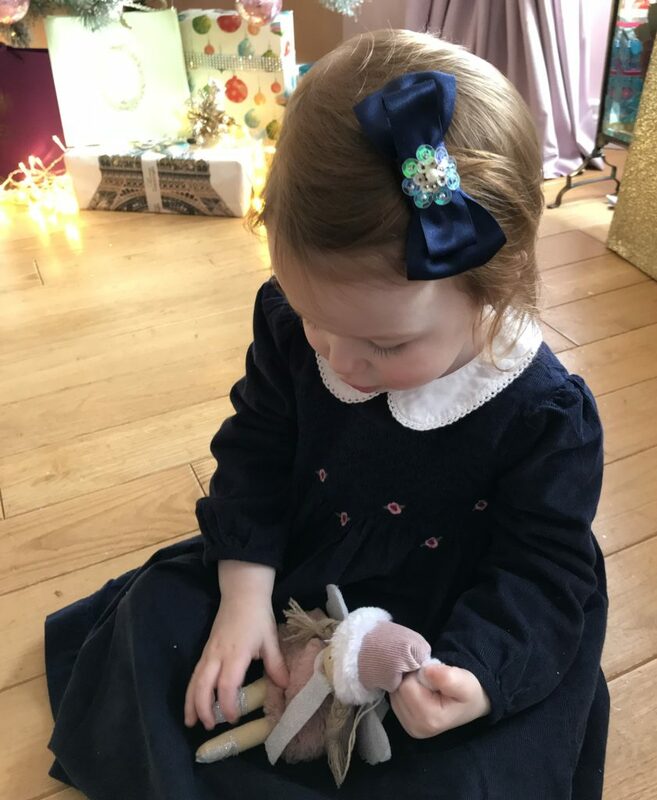 As well as all the beautiful clothes Jojo Maman Bebe also stock the most beautiful toys and if you’ve read my blog on Joshua & Lydia’s favourite toys you’ll see quite a few of them featuring there. 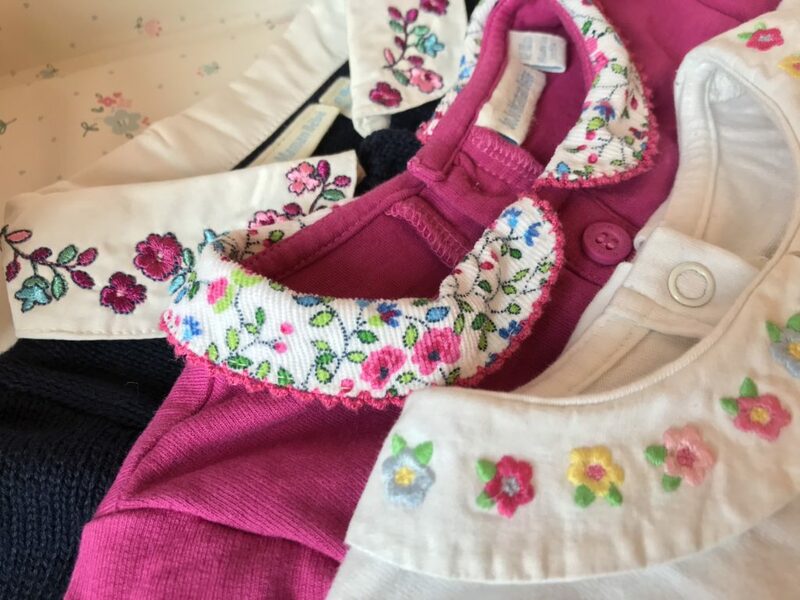 So I’d definitely recommend you have a browse of their website here for lots of Christmas ideas! 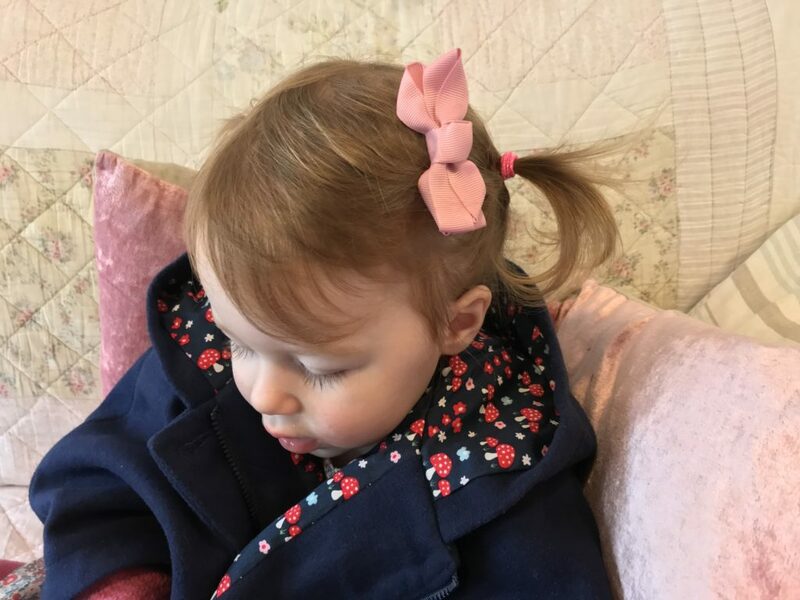 *This is a collaborative post and items were kindly gifted by Jojo Maman Bebe for the purpose of this post.